With Starwars being the remaining 21%? And what does this have to do with Linux.40? It has to do with general .40 release discussion, the other bit was just recently put out. How does the Star Wars, Star Trek, anti Sci-fi conversation tie into the release discussion, is what I'm asking. 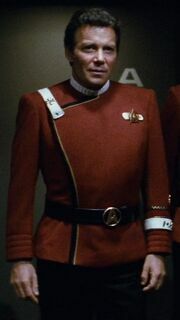 But the original Star Trek ref was I think he MAY have based the Admiral outfit on that pic lol. It did, and I was talking about v.40's admiral. I think people just get upset when I bash sci-fi. Yeah, you mean sci-fi basher. Anyone use the genuine linux distro?